Acting attorney general Matthew Whitaker, who was Jeff Sessions' chief of staff, will now assume final decision-making authority over Robert Mueller's special counsel probe instead of Deputy Attorney General Rod Rosenstein. 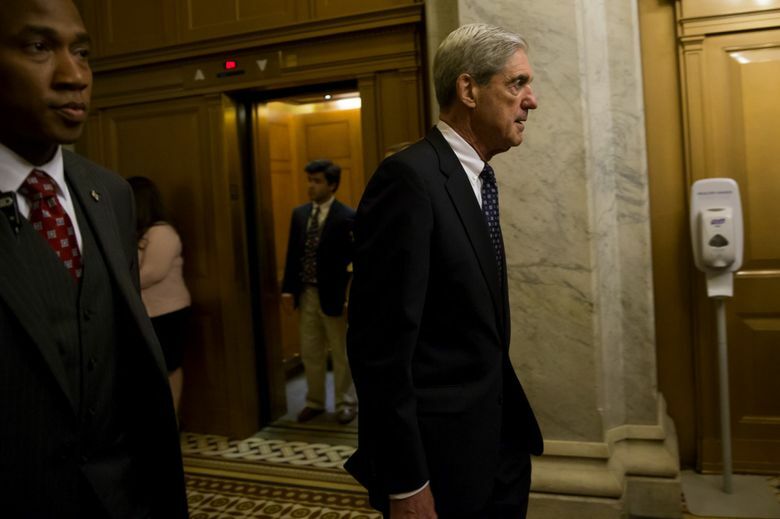 WASHINGTON – The future of the special counsel investigation into Russian interference in the 2016 campaign was thrown into uncertainty Wednesday after President Donald Trump ousted Attorney General Jeff Sessions, giving a political loyalist oversight of the probe. Trump named as acting attorney general Matthew Whitaker, Sessions’ chief of staff, who as a legal commentator last year wrote that Special Counsel Robert Mueller appeared to be taking his investigation too far. Furious Democrats, emboldened by winning control of the House in Tuesday’s elections, also promised to investigate Sessions’ forced resignation and suggested Trump’s actions could amount to obstruction of justice if he intended to disrupt the criminal probe. “There is no mistaking what this means, and what is at stake: this is a constitutionally perilous moment for our country and for the President,” Rep. Jerrold Nadler, D-N.Y., said in a statement. He is set to take over in January as chairman of the House Judiciary Committee, the panel that would oversee any impeachment proceedings. He also has ties to Sam Clovis, who served as Trump’s national campaign chairman and has been interviewed as a witness by Mueller’s investigators about his interactions with foreign policy adviser George Papadopoulos. Whitaker chaired Clovis’ campaign for Iowa state treasurer in 2014. The regulations would allow him to reject requests by Mueller to take major steps in the investigation. Should he do so, however, he would be required to provide the chairmen and ranking members of the House and Senate Judiciary Committee a “description and explanation of instances” in which he overruled the special counsel. With the midterm elections now over, Mueller faces key decision points in his 18-month-old investigation into Russian interference in the 2016 campaign – a probe that has led to charges against 32 people, including 26 Russians. Four aides to Trump have pleaded guilty to various charges, most recently his former campaign chairman Paul Manafort in September. In recent weeks, two more Stone associates testified before the grand jury – among at least nine people connected to Stone who have been contacted by prosecutors so far. Filmmaker David Lugo and lawyer Tyler Nixon both told The Washington Post last month that Credico acknowledged to them he gave Stone information from Assange. Lugo, who appeared before the grand jury Oct. 19, said he turned over text messages and emails to Mueller’s team. Nixon said he testified last week. By mid-November, the president’s attorneys plan to turn over Trump’s written answers to roughly a dozen questions the special counsel has posed – including the president’s knowledge of the hacked Democratic emails and his advisers’ contacts with Russians during the campaign and transition, according to two people familiar with the decision. The Washington Post’s Robert Costa, Devlin Barrett, Spencer S. Hsu, Manuel Roig-Franzia, Philip Rucker and Tom Hamburger contributed to this report.